We strive to ensure our people are engaged, enabled, and empowered to deliver on our mission and our vision of Best Care For All. We pride ourselves on being an inclusive organization with a robust wellness program, a rich variety of education, training, and professional development opportunities, meaningful recognition initiatives, and competitive compensation and benefits including one of Canada’s premier pension plans. We are both a community hospital as well as a regional centre for an array of acute care services, including cardiac, stroke, cancer, trauma, burns, neurosciences and pediatrics. 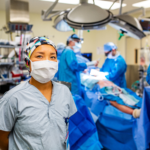 As an academic teaching hospital with affiliations with McMaster University and Mohawk College, we have earned recognition as one of the world’s leading health sciences research organizations. We are Ontario’s most comprehensive healthcare system, with more than 1,100 beds and a team of 15,000 staff, physicians, researchers, and volunteers serving the health needs of approximately 2.3 million residents from pre-birth to end-of-life. Join our HHS family today! 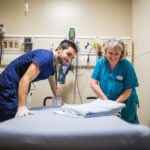 Offering up to $30,000 signing bonus for out-of-province nurses! View West Lincoln Memorial Hospital job posting. Learn about our West Lincoln Memorial Hospital. Offering a $30,000 signing bonus for all new hires! 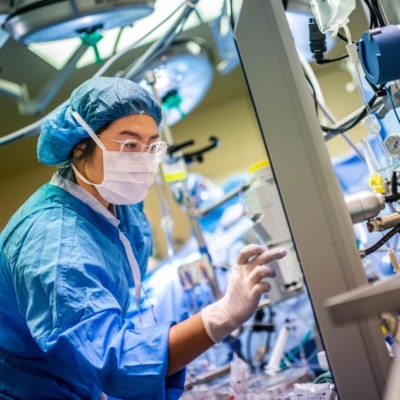 Why choose perfusion at HHS? HHS offers many benefits, services, and development opportunities to employees. Learn more about life at HHS through the topics below. Hamilton Health Sciences is a Healthcare of Ontario Pension Plan (HOOPP) employer. As one of the largest defined benefit pension plans in Canada, HOOPP offers members a stable pension in retirement, early retirement options, inflation protection, portability across HOOPP employers, and survivor and disability benefits. HOOPP is tailored to the healthcare sector and offers members a retirement income for life. The Employee Discount and Incentive Program (EDIP) offers our employees access to exclusive discounts at over 80 companies. Discounts are available within a wide variety of categories, including dining, entertainment, apparel, health, fitness, home, automotive, mobile phones, insurance and more! Hamilton Health Sciences is committed to supporting the health, safety and well-being of staff, physicians, and volunteers. Our corporate vision, Best Care for All, also applies to each and every member of the HHS family. Our best resource is you—our people, which is why Shine (Supporting Health IN Everyone), the HHS employee wellness program, was developed. We value and respect the richness of diversity of the communities we serve, and we are dedicated to cultivating a welcoming, inclusive and safe environment free from discrimination and harassment for everyone who enters through our doors. The Human Rights and Inclusion team actively strives to create an equitable environment where people’s diverse perspectives are valued and inclusion is cultivated. We strive to create an environment where staff feel dignified, engaged, enabled, and empowered to deliver on HHS’ mission of Best Care for All. HHS recognizes its people are best positioned to do this by increasing the skills, confidence, and capabilities through a range of human rights and inclusion training and programs, events, and projects. We have various training and programs offered through the Centre for People Development that are specifically designed to educate our workforce on equitable and social engagement with the diverse communities we work with and provide care for at HHS. LGBTQ+ Positive Space Training: This program increases awareness about the LGBTQ+ community, reduces stigma, and builds capacity for an inclusive service and care environments for LGBTQ+ patients and employees. Ally in Action Training: This program prepares staff to advocate for and with marginalized patient and staff populations, and to build capacity to have difficult conversations regarding the various forms of oppression. Ethics and Diversity Grand Rounds: To ensure HHS is on the forefront of clinical and organizational ethics, we host monthly Rounds to promote community dialogue around ethical issues in healthcare and build capacity for effective ethical decision-making. On-demand Training: The Human Rights and Inclusion team provides on-demand training related to harassment, workplace violence, and other human rights-related issues. Trans Inclusive Service and Care Program: A strategic initiative to support trans staff in the workplace and build an inclusive service and care environment for gender-diverse people. At Hamilton Health Sciences, we offer a diverse range of learning and development opportunities. The New Leader On-boarding program, which consists of in person workshops and an online resource guide, supports formal leaders by focusing on management and leadership skills that are foundational to success in their new role. The program offers the opportunity to learn in community with other new leaders and includes the opportunity to meet and network with members of the HHS Executive Team. As individuals and teams in health care we are called upon each and every day to bring our best to deliver outstanding care in a compassionate way. The Hamilton Health Sciences Centre for People Development offers development opportunities that enable our people to grow personally and professionally by providing relevant and practical learning opportunities designed to enhance skills, expand perspectives and knowledge and nurture spirits and compassion. 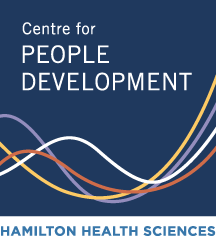 Visit the Centre for People Development website. myLearning is an innovative educational tool that provides access to online and face-to-face courses. The system allows tracking of individual learning and is essential to support the organization’s compliance with legislative and regulatory requirements. myLearning offers a suite of mandatory and optional courses that aim to support the HHS team in their efforts to provide best care for all. The work of leadership is about the dynamic process of helping people together to make sense of what is, to imagine what could be, and to act to shape the future. The HHS Leadership Development Program is a powerful, experiential learning journey for participants. Designed to strengthen the learner’s capability to lead within an increasingly complex and challenging environment, the purpose of the program is to support leaders to grow both personally and professionally, as they help HHS achieve its strategic objectives and desired outcomes. Clinical Practice & Education supports HHS staff with their education, professional development and practice needs. Services provided include staff education and development, student placements, computer systems education, and libraries. Visit the Learning section to read more. With the generous support from the HHS Foundation, Volunteer Association and other donors, we provide a range of educational funding opportunities for clinical and non-clinical staff members (e.g. HHS Staff Education Fund, Health Professional Bursaries, Health Professional Tuition Assistance Program). 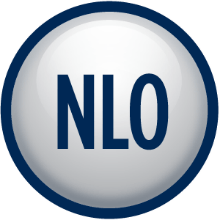 The Office of Student Affairs supports learners in a range of clinical and non-clinical learning opportunities across the organization. As staff at an academic health sciences centre, you are afforded the opportunity to mentor and teach the future generation of healthcare team members. Staff may choose to participate in unique community initiatives such as the annual Take Our Kids to Work Day event. Our people are dedicated to seeking innovative and collaborative approaches to delivering exceptional care for our patients. Our employees and physicians come from all over the world and work and practice in a broad range of disciplines. Every role at HHS is important to delivering Best Care For All. These are just a few stories about the great work that our people are doing. Hamilton offers the perfect combination of city life and nature. Our vibrant, accessible, family-friendly core is bursting with new restaurants, breweries, and shops in addition to a large public art gallery, several theatres, and a sports and entertainment arena. You’ll also find hundreds of kilometres of walking trails weaving along the waterfront and through the greater Hamilton area. Hamilton is geographically situated between Toronto and Niagara, less than an hour’s drive from each destination. This proximity affords easy access to airports, major league sports, cross-border shopping, and of course, wine country! Are you tired of your long commute, sitting in bumper to bumper traffic, missing out on time spent with family and friends? Why wait? Make the change to Hamilton Health Sciences – today. This section provides information and tips on applying for a position at Hamilton Health Sciences. This guide provides step-by-step instructions on how to apply online for a position at Hamilton Health Sciences and how to create your Career Profile. What do I do if I experience technical problems with my Career Profile? Create your online career profile: The first step toward a career at Hamilton Health Sciences (HHS) is to visit our online job board and create a career profile. You will be asked a series of pre-screening questions and will provide information about your education, work experience, credentials and job interests. You will also be provided the opportunity to upload your resume and cover letter which can be updated at any time. Creating your career profile generally takes about 20 minutes. Search and apply for positions: Once your profile has been created, you can search and apply for positions that match your skills and interests. You can also set up job alerts to be notified of future positions that may be of interest to you. To apply to a position, log in to your career profile, search for the job you would like to apply to and follow the application steps before the closing date. Once an application is submitted you will receive a confirmation email. After you apply: Hiring managers will review all applications received before the closing date. Applicants who best match the qualifications of the position will be invited to participate in further screening. Identifying candidates for further consideration generally takes 2-4 weeks following the application deadline. Only candidates selected for a pre-screen or interview will be contacted. Screening process: Candidates selected for further screening will be invited to participate in a telephone pre-screen and/or interview. HHS prefers to conduct interviews in person. If this is not possible, you may be invited to participate in an interview by phone or over internet-enabled technology. Our goal is to learn more about your qualifications and experience and determine whether you are a good fit for the job, the team and our HHS family as a whole. You will likely be invited to ask questions of your own so come prepared. Pre-employment checks: We will conduct pre-employment checks on all final candidates. At minimum candidates will be asked to provide work-related references. Our follow-up may include confirming your education, current/previous salary and employment history. Specific roles may require you to submit a satisfactory Vulnerable Sector Check. Offer of employment: Offers of employment will be issued verbally by the hiring manager and will be conditional upon completion of a pre-employment health assessment. Written offers of employment will be issued and sent via email along with your onboarding documentation. The Ontario Government provides resources for job seekers including the opportunity to ask questions in a Live Chat and meet with a counsellor for help developing your career goals, preparing for interviews or starting a job. The Government of Canada’s Job Bank provides an easy to use Resume Builder. Create your resume one box at a time and let the Resume Builder do the formatting for you. Need help? At each step, you’ll find suggestions on information you should include. New graduates may also have access to their school’s career centre. Universities and colleges typically offer a variety of services to their students and alumni, including resume review and interview preparation. It has come to our attention that fraudulent job offers are being circulated by individuals/entities claiming they are representatives of or subsidiaries under contract with Hamilton Health Sciences. If you receive any unauthorized, suspicious or fraudulent offers or interview calls please disregard these and notify us at myHR@hhsc.ca.